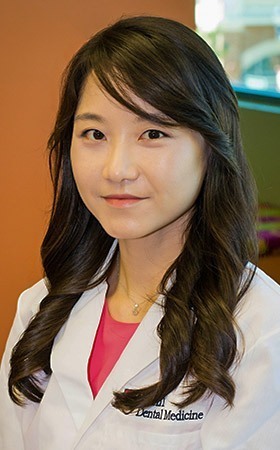 Dr. Ji Young Lim adheres to a patient-focused philosophy when it comes to dental care; she strives to treat every patient as if they were part of her own family. She takes the time to get to know each one’s goals and expectations for orthodontic treatment. Her hope is that all of her patients are able to enjoy healthy, beautiful smiles and make informed decisions about their dental care. You can learn a little more about Dr. Lim by reading on below. Dr. Lim received her DMD from the University of Pennsylvania, and she continued her education at the University of Maryland, where she earned her master’s degree in Bio-Science as well as her Orthodontic Certificate. When she isn’t practicing dentistry, Dr. Lim uses her spare time to travel, hike, read, and check out what’s cooking on the Food Network.